Wondering how to create a classroom culture where students don’t want to stop exploring mathematics when the bell rings? Kyle Pearce from TapIntoTeenMinds.com and Jon Orr from MrOrr-IsAGeek.com team up to uncover how we can Make Math Moments That Matter for every student in the math classroom from Kindergarten through Grade 12. Discover how you can build easy to plan and fun to deliver math lessons that kids will not only love, but also learn from using the Making Math Moments That Matter 3-Part Framework. Get ready to learn as we interview math education influencers, engage in coaching calls with mathematics educators from around the world, and take deep dives into assessment, differentiation, student behaviour, engagement, problem solving, math fact fluency, and many other common teacher challenges as we strive to Make Math Moments That Matter. Let’s learn how we can meet the needs of every learner in all classrooms regardless of student readiness together! Subscribe by searching or us on your preferred platform or by clicking here: iTunes, Google Play, Spotify, RSS, or wherever you get your podcasts. 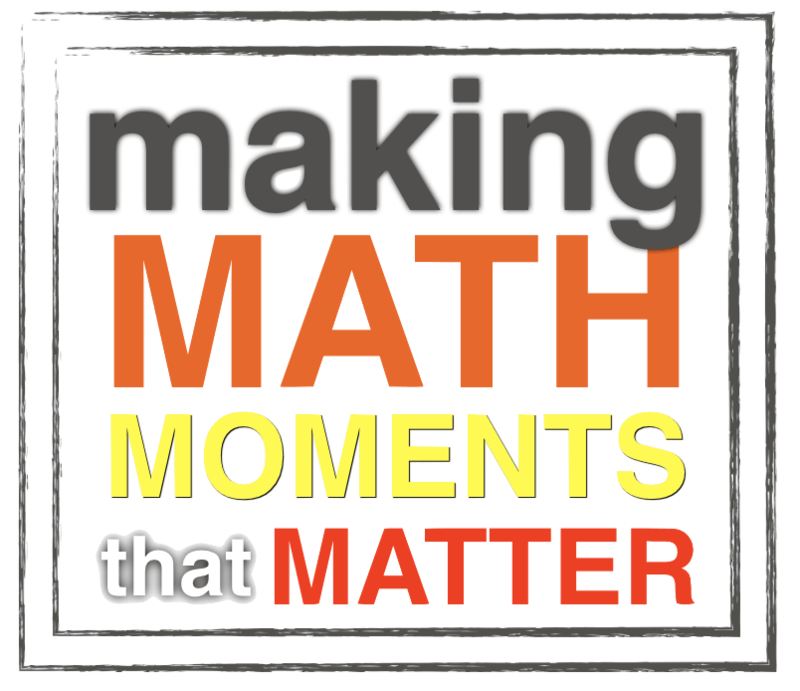 In Episode 9 of the Making Math Moments That Matter Podcast we have another Mentoring Moment episode coming your way with Kirsten Dyck, a grade 7/8/9 math teacher in rural Saskatchewan. Kirsten is working though how to bring out effective learning goals in all the great lesson ideas she’s already using. Listen in as we welcome Kirsten to the podcast and we all put our minds together to work through this very common challenge we all experience across the grades. Join us in a Math Mentoring Moment with Katrien Vance where we dive into redefining what success looks like in our math classrooms by planning lessons that elicit questions instead of answering questions that haven’t been asked, promoting mathematical discourse, and helping students build confidence to solve word problems. Episode 7: Routines, Curiosity, and Assessment: A Math Mentoring Moment with Sarah-Jane Wells. We talk with a participant from our online workshop Sarah-Jane Wells and how realizing her personal privilege has affected her teaching habits, how she’s been working on Sparking curiosity consistently to get kids engaged and keep them on task… and a BIG can of worms was opened when the conversation moved into assessment, evaluation and the role of descriptive feedback. This week we interview the great James Tanton. Author, curriculum writer, speaker, creator of Exploding Dots and spreader of joyous mathematics! We bet that you’ll find yourself smiling as you listen to James’ enthusiasm for joyous mathematics. Episode 5: Too Many Resources and Too Little Time: A Mentoring Moment with Nicole Martin. In our first Mentoring Moments episode we chat with Nicole Martin, a 3rd/4th grade math teacher in Las Vegas Nevada. Nicole was struggling with how to structure her math lessons in a way that is engaging yet meaningful when she has so many great resources she’s found online. ‘Nicole shares with us how after finding so many great math resources online such as 3 act math tasks, estimation 180 and more, she struggles to organize her math block to include these resources with intentionality on an ongoing basis. Listen in as we hear Nicole’s story and the tips we give her to try out in her classroom. We share 3 teacher moves to ignite TEACHER action in the classroom so you can spark curiosity and fuel sense making in your students. We outline how we’ve used these moves in our classrooms to make significant learning gains with our students and give you valuable tips on so you can incorporate these moves regularly classroom. Join Kyle Pearce from TapIntoTeenMinds.com and Jon Orr from MrOrr-IsAGeek.com as they take a dive into the Making Math Moments That Matter 3-Part Framework! In episode 2, they dive into the first part: Sparking Curiosity and highlight one of their favourite curiosity sparking strategies called the Curiosity Path. Wondering how to create a classroom culture where students don’t want to stop exploring mathematics when the bell rings? Kyle Pearce from TapIntoTeenMinds.com and Jon Orr from MrOrr-IsAGeek.com team up to uncover how we can Make Math Moments That Matter for every student in the math classroom from Kindergarten through Grade 12.